Last Thursday night Stuart and I went to see Rupert Goold's modern dress production of Medea at the Almeida Theatre in London's glitzy Islington. Euripides’ seminal play tells of Medea’s marriage break up and cuts to the heart of gender politics asking what it means to be a woman and a wife. 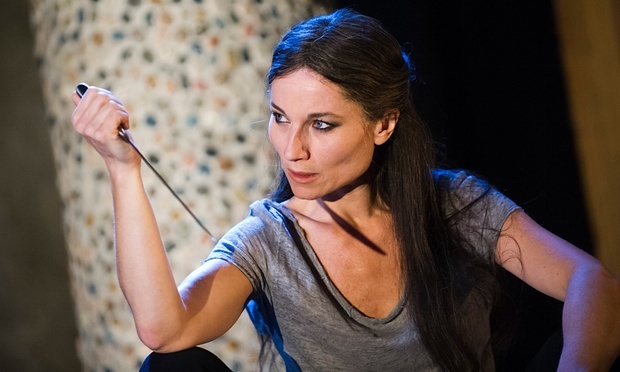 One of world drama's most infamous characters is brought to new life by Kate Fleetwood and fresh words by award-winning feminist writer Rachel Cusk. On the stage the action tests the limits of revenge and liberty. But for us, sadly it didn't test those limits quite far enough. The play is about the lengths that someone will go to seek revenge. Even as far as infanticide. But here we felt we were cheated of that ulitmate deed. We are left feeling deeply sorry for, but not really appauled by the depth of Medea's feelings. Sure she had been wronged but I think the point of the play is that Medea feels so powerless that she has to commit murder to take back some control of her life. Here though Medea was just left abandoned and floating in sadness. She had no control. The National Theatre production starring the wonderful Helen McCrory last year did it much better.